Whether you’re facing costly unexpected car repairs due to a blown transmission, are dealing with the purchase of a new heating and cooling system for your home or your washer-dryer set randomly decided to let go – you may find yourself thinking “I need to borrow money online” because you believe that such would be the quickest and easiest method to handling your issues. An blog is in fact one of the top methods in making money online. Of course, as many of us already know, building a blog that has followers and readers is not always an easy task. With time and a lot of hard work, your blog will eventually start reaping the benefits and so will you! Limit your financial problems by starting your blog today – you’ll probably already have funds in your account the next time an unexpected issue rolls around. Did you know that when done right, an blog can generate anywhere from thousands to hundreds of thousands of dollars monthly? You read right! Don’t regret having waited any longer, start putting in the needed effort to build your blog. Fiverr is an online, international program and is an excellent resource for selling just about any professional service online. Such services can range from website building, to logo creating and all the way to translating or creative writing! Fiverr isn’t the only website of its kind and therefore, if you have a strong experience in a given field, this might be a very interesting possibility. Just like building a blog though, starting out on Fiverr or any other platforme takes time and hardwork. Don’t expect clients to come to you when you haven’t yet built yourself a reputation with considerable reviews. 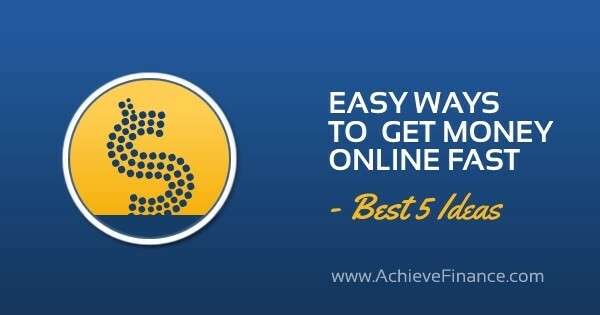 This specific online marketing problem has the basic principle of offering a service for 5$. While this may not seem like a lot of money at first, the amounts can quickly add up. Propose your services and sell your abilities, model the techniques of other successful individuals in your niche and get to work! Do you own collector’s items – such as pokemon cards, have any antiques laying in the attic or a lot of brand name clothing in your closet? Selling good quality items on eBay is actually highly popular. Head over to eBay in order to check out how the website works. In order to price your items, verify what similar products are selling for and select a slightly lower price range in order to sell quickly! Keep in mind that eBay and many other websites of this kind have seller fees and shipping charges. You can choose to include these fees in the price of your items and offer free-shipping in order to make your offer more attractive and successful. If you don’t know what Craigslist is – it’s definitely time to check out. Craigslist has a section titled “Gigs” in which different people request help for what usually revolves around quick jobs or day-to-day tasks. This said section often has people looking for online help such as website design or social media management however, many manual jobs such as renovations and house-painting. Keep your eyes peeled for gigs that are of interest to you – and stay far away from any that may seem a little bizarre. The next time you think your only option is resorting to an online loan – take a moment to breathe and think again. Many options are actually right at your fingertips if you’re willing to put in a little time and effort. Avoid future “unexpected situations” and choose your method for rounding off the end of the month now!